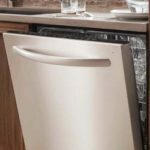 The Applianceman Service offers experienced, factory-trained technicians specializing in kitchen appliance repair and laundry appliance repair. We have provided excellent appliance repair services and first-rate customer service to homeowners in Galena Ohio. 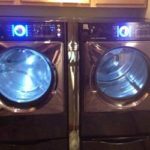 As a result of our expertise, we The Applianceman specializes in high end appliance repair such as Sub Zero and Wolf brand appliances. 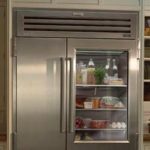 Although we can fix any type of appliance, Sub Zero refrigerators and appliances are our specialty. As a matter of fact, we are the only factory certified Sub Zero appliance repair specialist for Galena Ohio! provides endless options in both the style and technology a refrigeration system. The Applianceman Service will ensure you receive worry-free service and repair for all Sub Zero refrigerator units at competitive rates. Galena is a village in Delaware County, Ohio, United States. The population was 653 at the 2010 census. 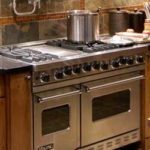 If you are in need of high end appliance repair in Galena OH, then call the Applianceman! Galena sits at the confluence of the Little and Big Walnut Creeks, the headwaters of Hoover Reservoir, just north of Columbus, Ohio. Established in 1809 as a milling center, the Village is best known for the Galena Shale Tile and Brick Company which operated from the 1890s until 1983. The historic New England style downtown still boasts structures built in the 1820s and bustles with restaurant and pub activity today. The 2010 Census population was 687. Much of the original Village includes older homes, while newer subdivisions began being built in 2005.